Our city home is on a funny lot. 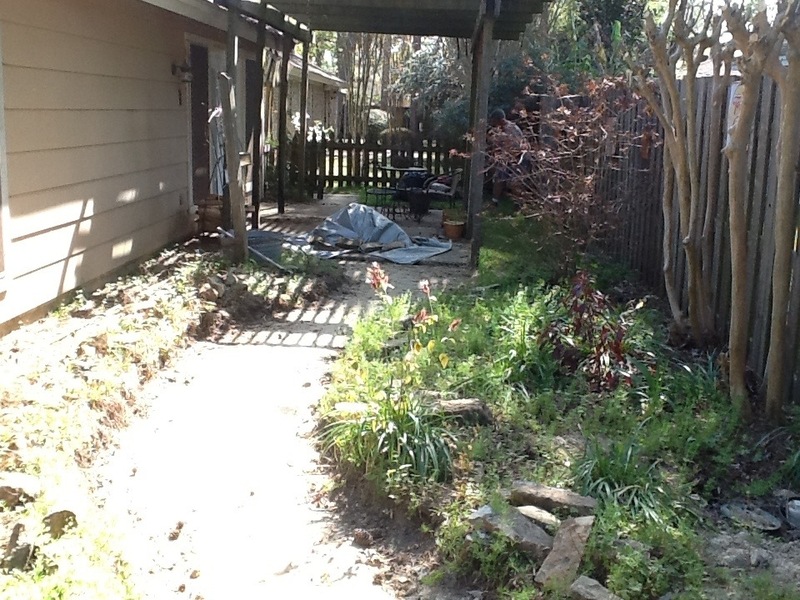 We have a great big corner lot with established trees and a huge side yard but our back yard is a narrow L shaped space. This lack of a private back yard has not been a problem for us. This is a front yard neighborhood. We hang out with our neighbors, their kids and grandkids. We have watched them practice baseball, walk to the bus stop, learn to ride bikes and even learn to drive. 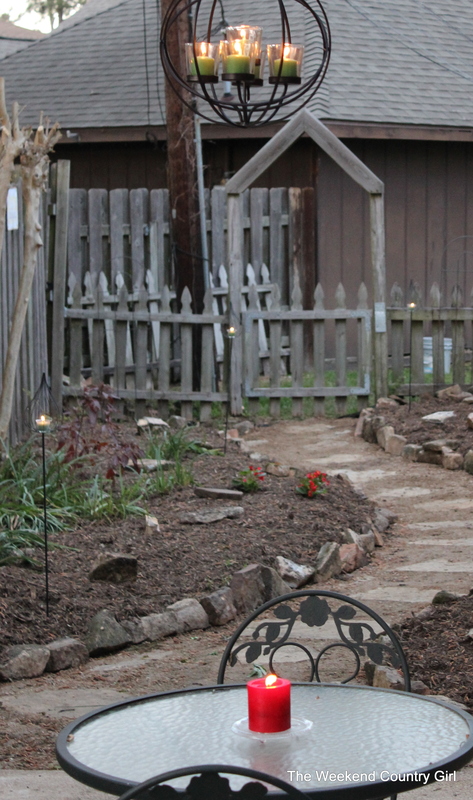 Years ago Hubby, the kids, and I put in a rock walkway and flower beds back there along with a pergola. The rock we chose did not hold up well, sooo out it had to come. 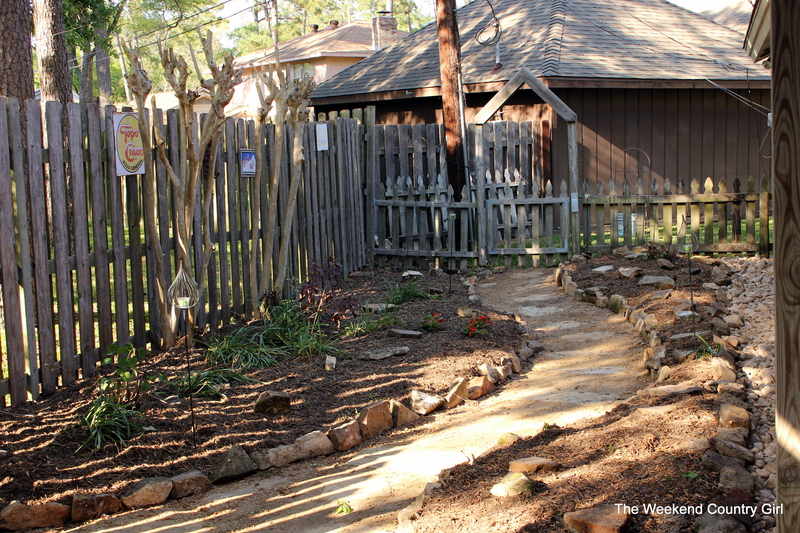 The flower beds haven’t had the care they needed the past two years so they were a weedy mess. Hubby has done all the work up to today, but I have been recruited, drafted, enslaved to get the back yard finished up and ready for its close up inspection. Yep. 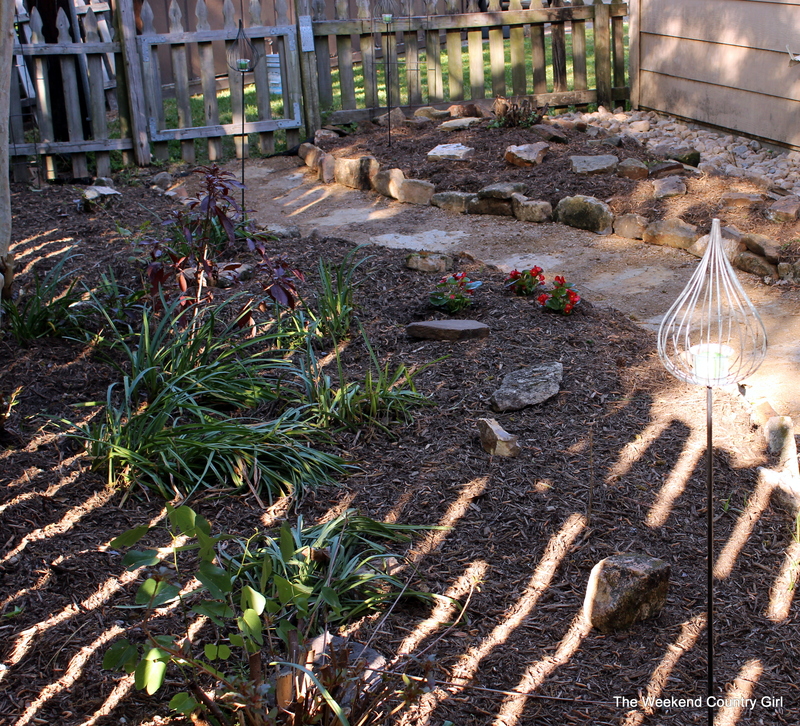 This weedy mess was our backyard. Don’t judge us. We work a lot of hours. I know, it is pretty gross right? 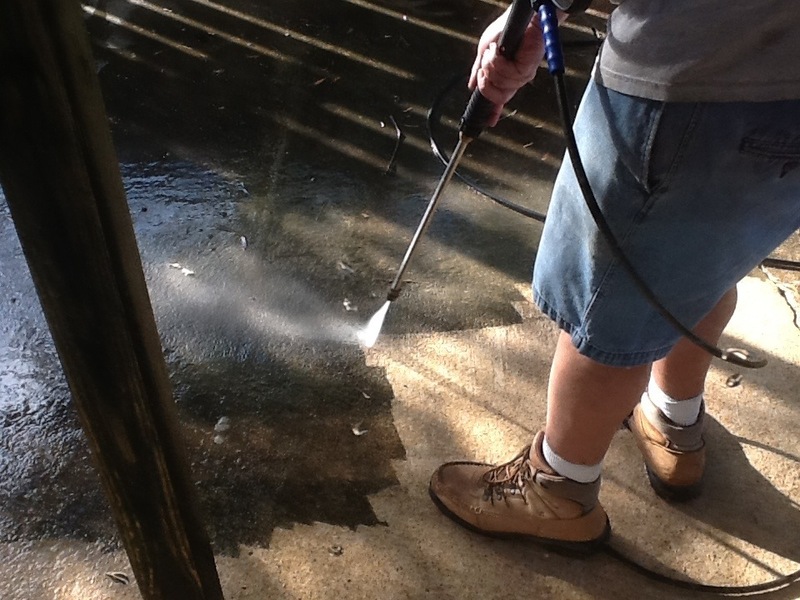 Step 1- power washing the concrete. 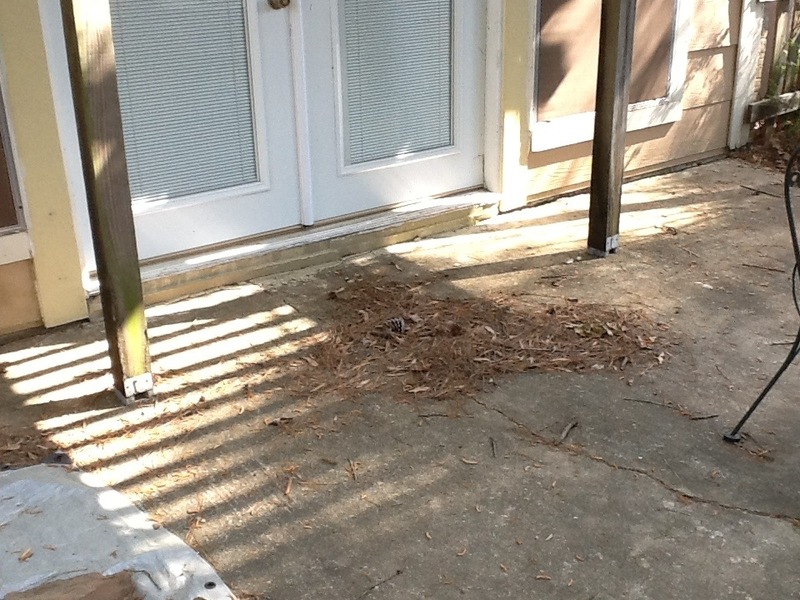 We were able to borrow a power washer which saved us a ton and allowed us to use it in stages as needed. It is amazing how much better the concrete looks clean. It was too icky for me to even be outside. I had to wash the windows when he was done. 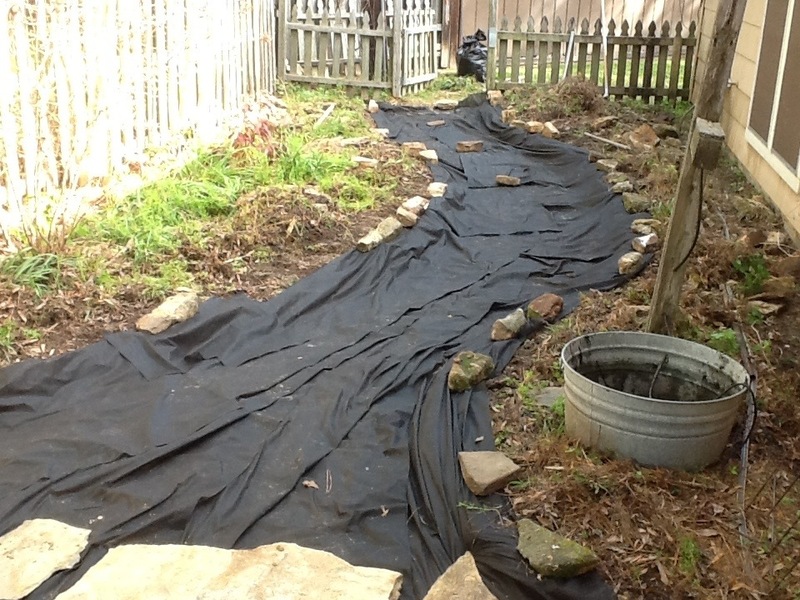 Step 2– lay down landscape fabric under the path. This really does help keep the weeds out and in the sub-tropical climate we live in weeds are ever present. Step 3– the heavy lifting. 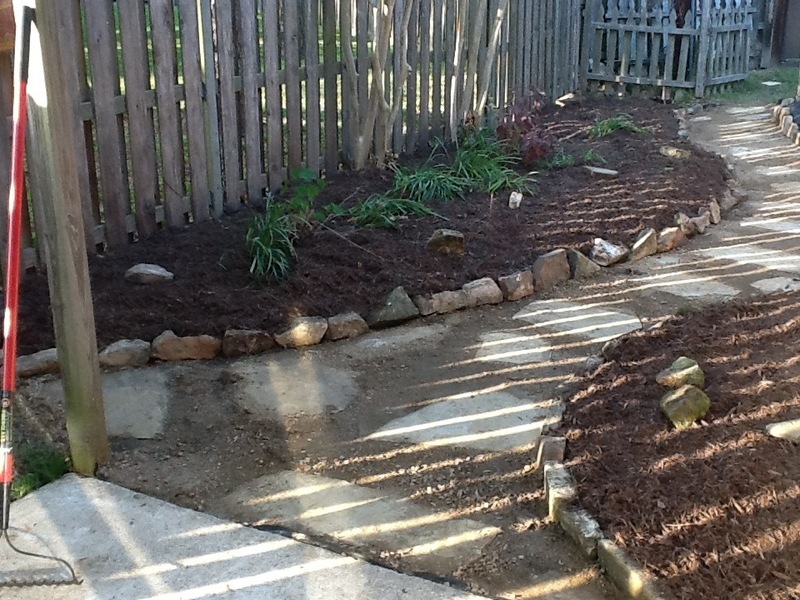 Moving 700 lbs of flagstone and 2 yards of crushed granite, adding sand under the rocks as needed to level them. This took a while. Hubby sprayed down the house with a pump up sprayer full of diluted bleach to kill the mildew on the siding while we took a break for lunch. There was some yelling during this point. We were both hot and tired. 87 degrees in March. 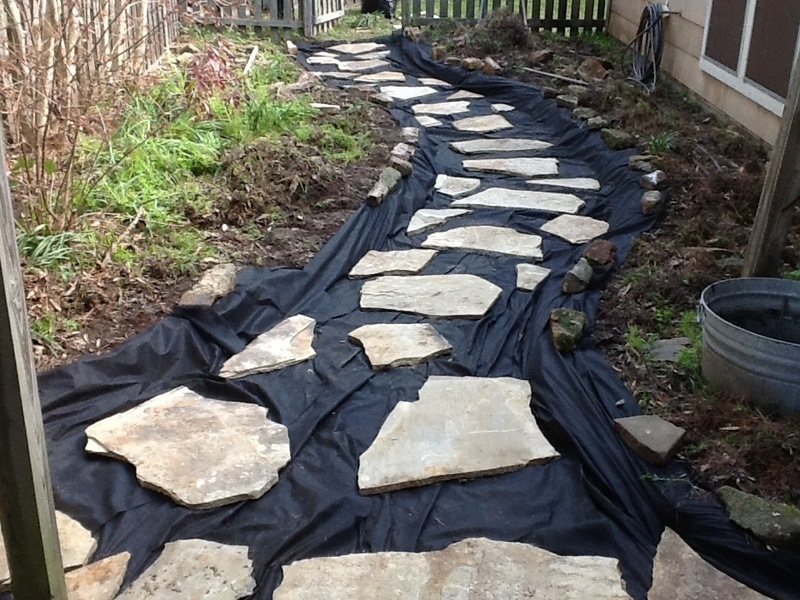 Step 4– Power washing the siding and laying a tarp down on the path to throw the weeds on. We then weeded the beds. It looks better already, but by this time the dirt yard was closed. Hubby had to get mulch after work Monday. Step 5-adding some color, cleaning the windows and sprucing up. We have a borrowed bistro set in the back yard. It got the power wash treatment along with everything else. I added a tough hanging basket that should survive our neglect and new plants to the wall hanger along with a few annual plants are all we are doing because we are afraid of the upkeep right now. The two chairs where the kitchen patio is we’re faded so they got spray painted turquoise fusion paint. 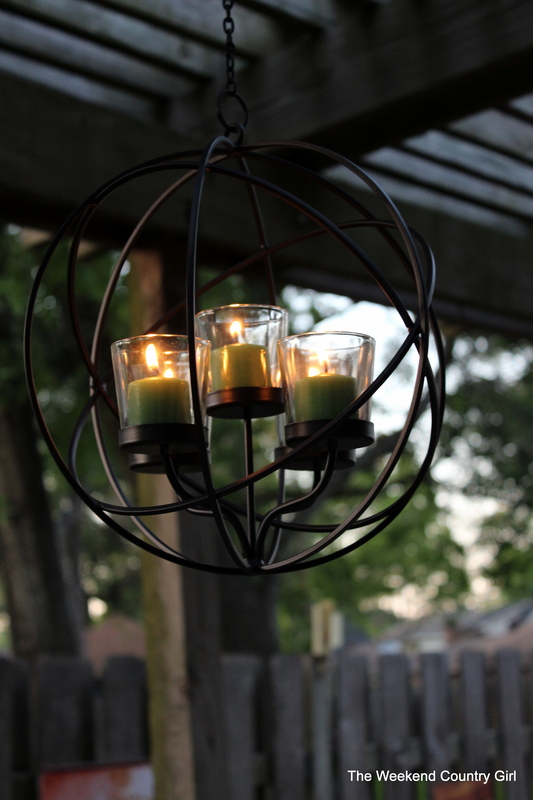 A metal table from the hoard, a chandelier I bought on clearance last year and some votive candle stakes added a little more interest. Here is the almost finished project. We still need to add in annual plants to the beds. What do you think? I wish we had done this sooner so we could have enjoyed it more. We will be getting colorful plants once the wind dies down.